Chairman of Cometstar Manufacturing Co. Limited, Chief James Uduji gave evidence before the High Court of Lagos State today of his kidnap by Mr. Chukwudumeme Onwuamadike popularly referred to as Evans. 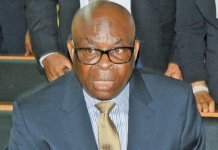 He was the first prosecution witness in one of the five charges pending before the High Court of Lagos State and one of the two charges pending before Justice A. Akintoye against the notorious alleged kidnapper. Evans is currently facing five criminal charges bordering on kidnapping before three judges of the High Court of Lagos State. The two charges before Justice Akintoye came up today and though one had to be adjourned due to the absence of the prosecution’s witnesses, the prosecution called two witnesses in the second charge dealing with the kidnap of Chief James Uduji. Chief Uduji himself was the first witness and he told the court how he was kidnap and detained from 7th September 2015 to the 19th of October 2015. He testified that on the 7th of September 2015, he was on his way home in Festac Town with two of his drivers and was quite close to his house when he saw a Lexus SUV vehicle drive directly opposite him and block his car. He stated that there were four men in the vehicle and they were all shooting. Three of the men came down from the car, came over to his car, dragged him out of his own car and into their vehicle and drove off. He testified that as he was being dragged into their own vehicle, he realized that he had been hit by a bullet in his shoulder and was bleeding profusely. He stated that after driving for a little while, some of the armed men came down and others replaced them and he was then blindfolded. He however testified that before he was blindfolded, he saw the faces of all the men and identified Evans as the one behind the steering wheel and the one giving orders. He however testified that he had never seen the other three defendants(Joseph Emeka, Linus Okpara and Victor Aduba) before today. He testified that they took him to a house and he couldn’t pinpoint what area it was, removed his bloodied clothes and brought out a mattress for him to sit on. He testified that Evans called a person whom he assumed was a doctor on the telephone telling him that there was an emergency and that he should come over. He stated that the ‘doctor’ came and gave him two injections. When he inquired, he was told one was tetanus injection and the other was a painkiller. He stated that he was given these injections for seven days. Describing what appeared to be an elaborate and structured set up, he testified that he was under the watch of one person known as the hostage taker and that Evans came and went during the period he was incarcerated. He testified that they all referred to Evans as ‘Chairman’ including him, the captive, and that Evans dealt with the negotiations and finances. He testified that he was treated like a prisoner, was blindfolded and fed his food like a baby. They brought meals twice a day. He further testified that Evans negotiated with the captive who in turn then called his people on the outside and gave them instructions regarding the money. He testified that negotiations soon began and they first asked for three million dollars and then negotiated until they got to one million and two hundred thousand dollars. He testified that there was a gadget Evans used to make calls and so the hostage taker would bring the gadget and it would be a three-way call between him, Evans and his brother. He further testified that sometime during the course of the negotiations, there were talks of substituting him with his brother because of the gunshot wound but Evans eventually refused. He testified that the ransom of USD1.2million was paid in three installments by his brothers but he was not released until eight days after the final payment. When he was asked why he was still been kept after the ransom was completed, his hostage taker informed him that ‘Chairman’ had travelled and would drop him off once he got back. 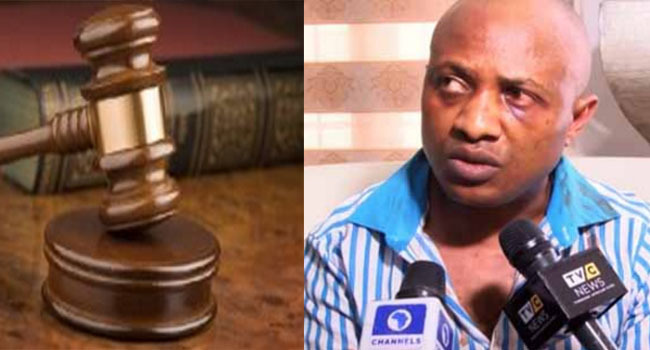 He testified that Evans came on the 19th of October 2015 and told him he would be dropped off later at night. He stated that later that night, he was taken into a vehicle and there were about four men in the vehicle and he was dropped off and warned not to look back. After some time, he crossed the road and was told he was around Igando area of Lagos and from there, he was able to find his way home. He then reported the matter to the Police and the Department of State Security Service (DSS) and went for proper medical check up where he was told that the bullet has to be left there in his shoulder. Upon the arrest of Evans in 2017, he went to the police on the day he was to be paraded with his accomplices and identified him. He stated that a few days later, the police invited him and brought out Evans whom they questioned. He stated that Evans admitted that he was one of his victims and knelt down and begged him calling it the devil’s handiwork. 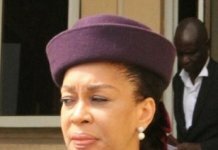 He stated that he was only interested in knowing why he was targeted and asked Evans about that and Evans told him that another robbery suspect, who is now late, known as ‘Ducky’ heard someone refer to him by the name of his company ‘Cometstar’ at a supermarket called Pharmacare in Festac and began to trail him for about three months and that he got the information about him from this ‘Ducky. Chief Uduji was cross-examined by counsel to Evans, Mr. Ajanaku as well as counsel to the remaining defendants. 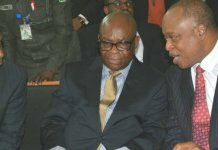 During cross-examination, Mr. Ajanaku confronted Chief Uduji with his statement to the police highlighting that it was made on the 8th of July 2017 and not in 2015 after his release as he had stated in his testimony and that it was made at the Force Headquarters in Abuja and not in Lagos as he had stated. He also questioned Chief Uduji on the absence of his date of release from his abductors or even how long he had spent in captivity in the statement. The second witness the prosecution called is Jerome Okezie. He identified himself as Chief Uduji’s driver and the one driving Chief Uduji home on the 7th of September 2015 when the incident occurred. He testified that when the Lexus Jeep blocked the car and began to shoot at them, one bullet came towards his head and he fell on the steering wheel and pretended he was dead. He testified that he heard them come to the vehicle and try to open it but it was centrally locked. He pretended to be dead all through until they were able to open the vehicle and take Chief Uduji away. He testified that after they left, some okada riders ran to his aid and that of the assistant driver who was in the car with them and took them to Area A Police Station in Festac. The DPO immediately directed that they be taken to the hospital and he was taken to the hospital where he spent eight days. He stated that he sustained injuries in his head and arm and was told by the doctor that he had bullet particles in his body. Under cross-examination, Jerome testified that he is a spy police officer and became a spy police officer after the incident. He testified that he has never handled a gun, nor was he trained about guns or ammunition during the spy police training. He stated that he was not involved in the payment of the ransom. The charge has been adjourned to Monday, 17th of September 2018 for further hearing. Ifeanyi Uba’s Continued Detention and the Conflicting Court Orders!